If you were disappointed by the lack of single-player DLC for 2016’s DOOM, then we have some good news for you. Game Director Marty Stratton confirmed during QuakeCon that the upcoming title, DOOM Eternal, will have single-player DLC. Speaking to Polygon during the event, Stratton reflected upon the previous game’s development and said that if he could do something differently, it would be to go back and add more content to DOOM‘s campaign. Honestly, if there’s one thing thing that I would like to go back and do different is to give people more of the campaign post-launch. You know, more follow-up DLC from a campaign perspective. So we’re already planning that and I’m looking forward to it. We’ll talk about our whole plan. 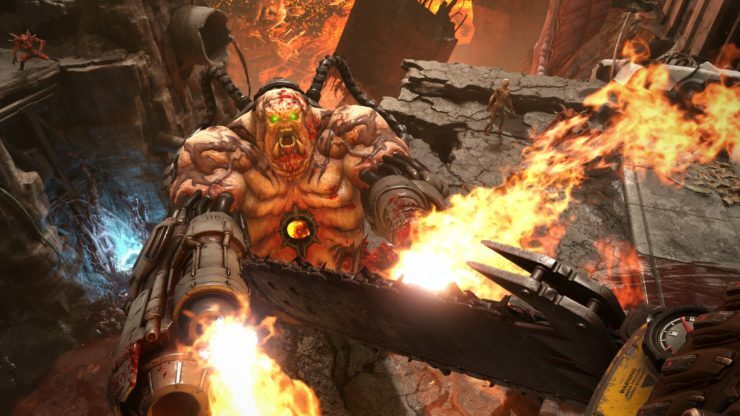 Stratton suggested that DOOM Eternal‘s single-player DLC may tie in with its Invasion feature, which allows us to invade other players’ campaigns. “It’s fun, too, because when we when we look at doing campaign DLC, and then we have something like Invasion play a part in it, you know, it just, it kind of makes it even more valuable to have that,” he added while emphasizing on replay value. DOOM Eternal is in development for PlayStation 4, Xbox One, Nintendo Switch, and PC.